Elegant Accommodations in Santa Barbara! 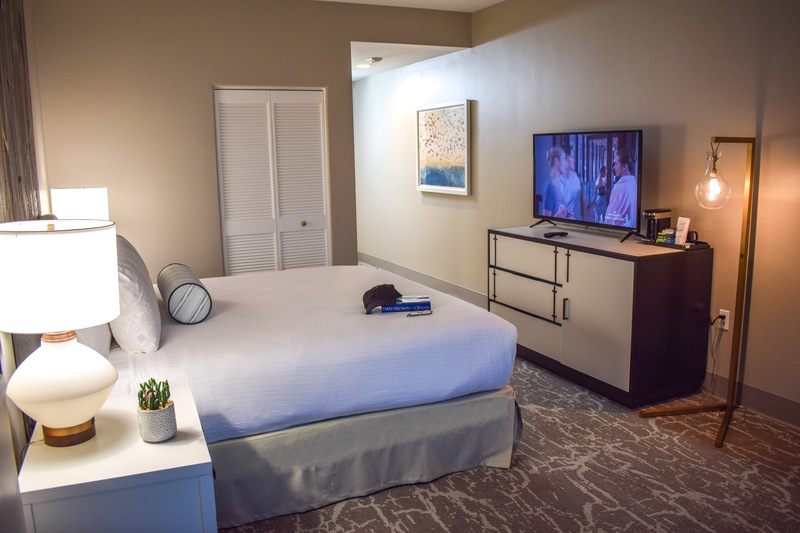 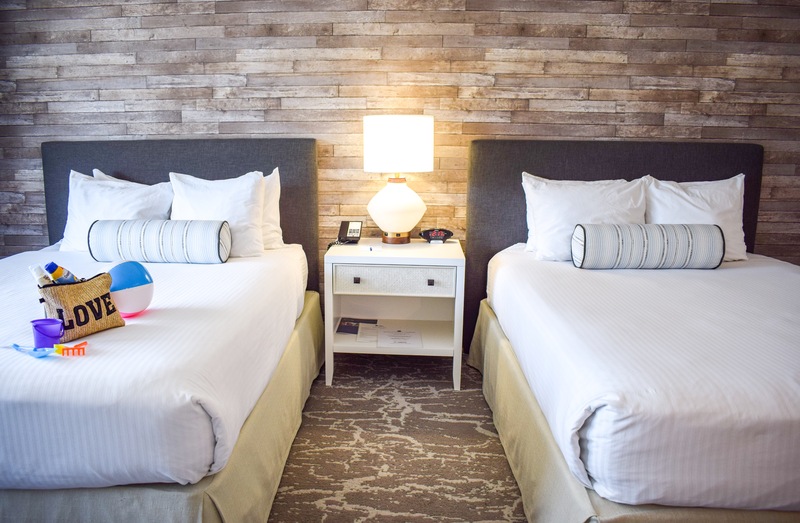 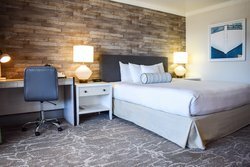 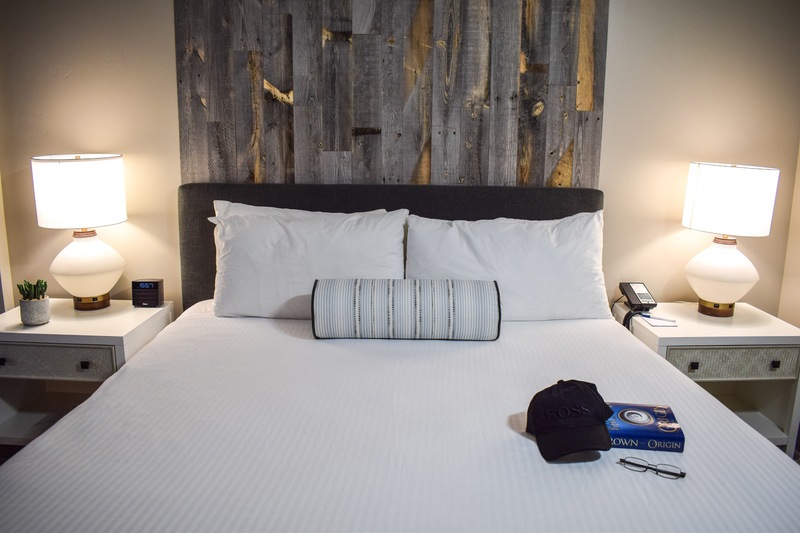 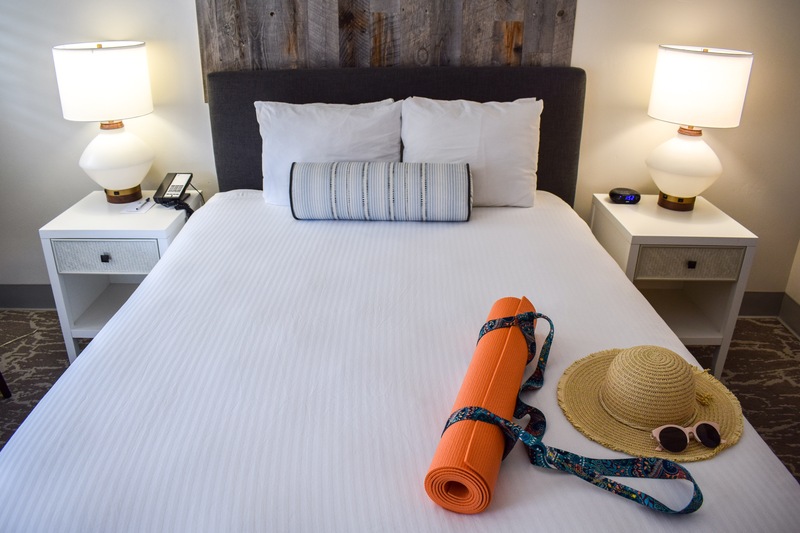 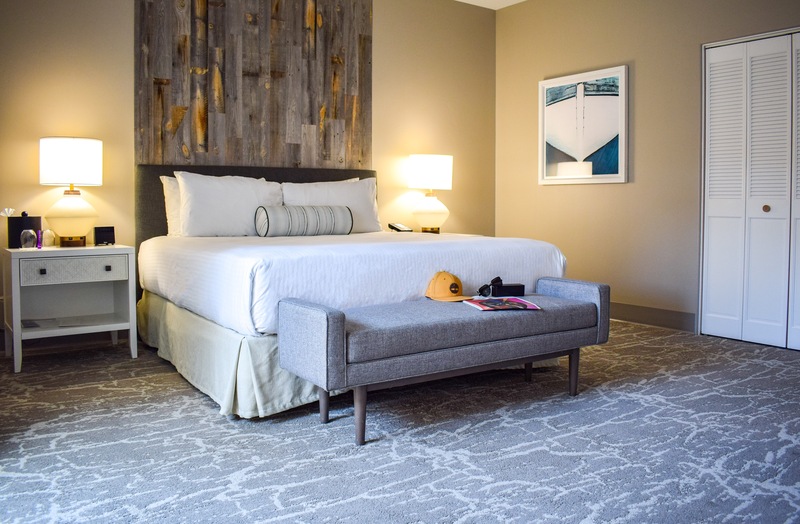 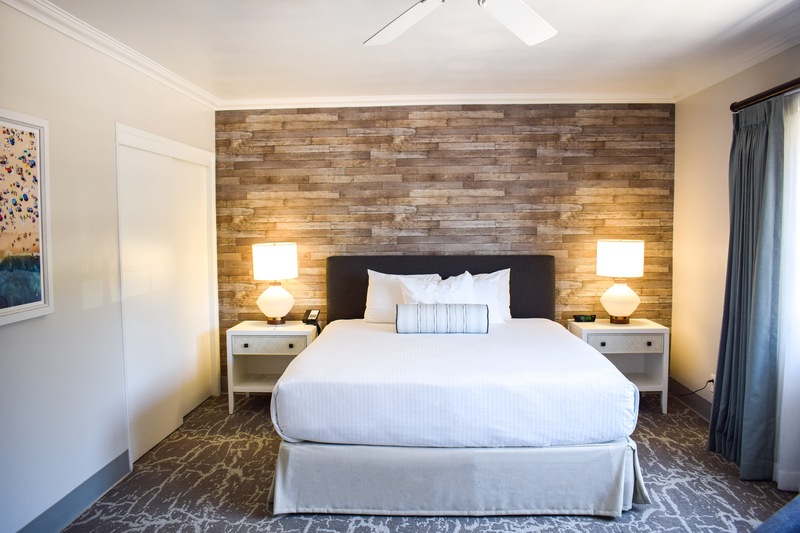 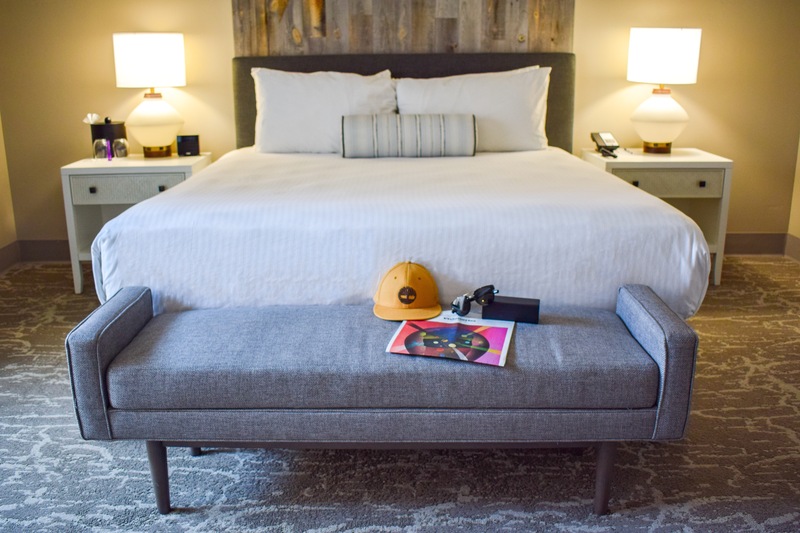 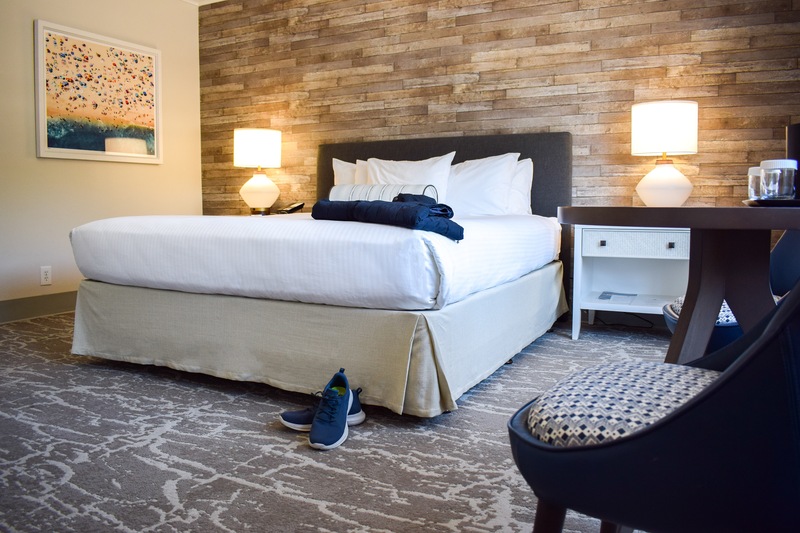 With over 60 guestrooms to choose from, our Santa Barbara accommodations are perfect for your next Santa Barbara getaway! 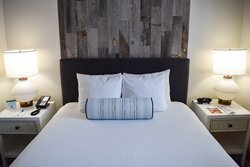 Each spacious room in our hotel features a modern design with comforting amenities designed to make each guest feel at home. 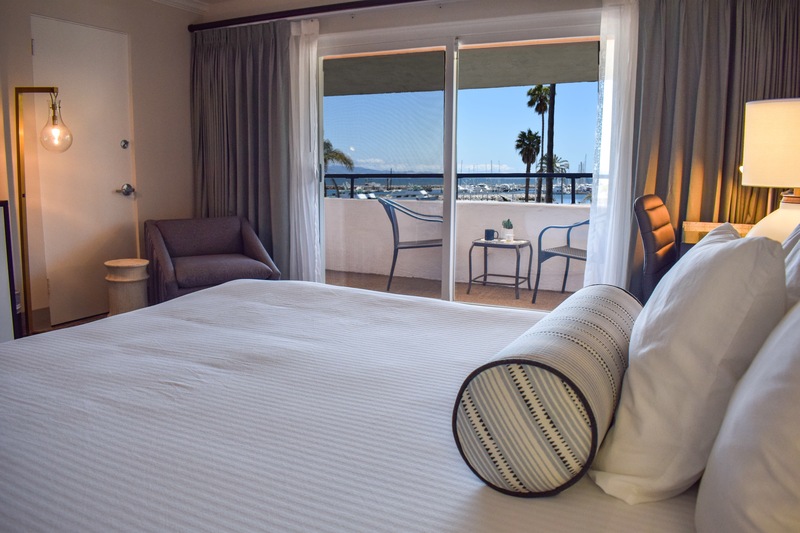 Choose from a selection of rooms, each featuring a beautiful view of either the pool, the harbor or the park. 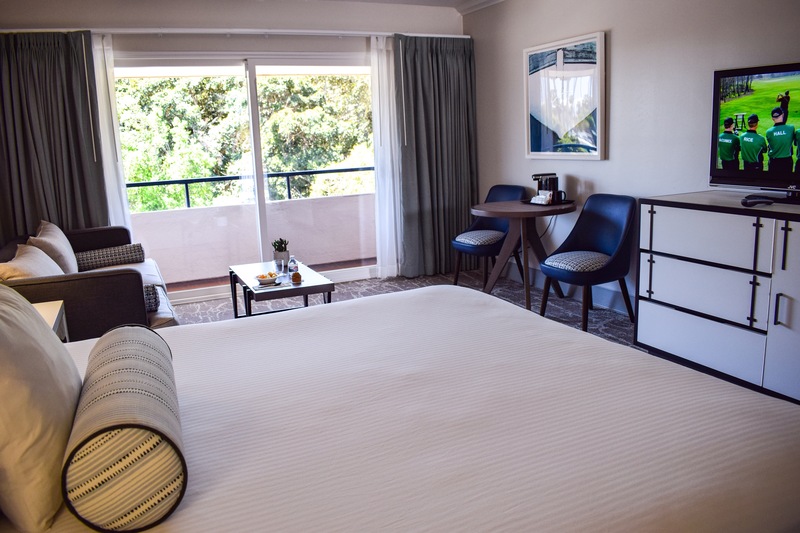 Wake each morning from one of our plush beds and enjoy a deluxe complimentary breakfast in our hotel’s breakfast room. 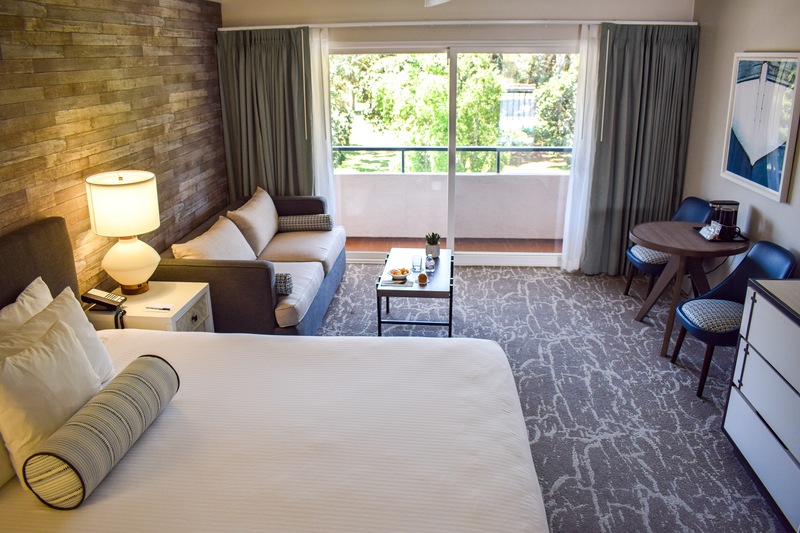 After a long day exploring the sights and sounds of Santa Barbara, retire to your room and indulge in our in-room amenities. 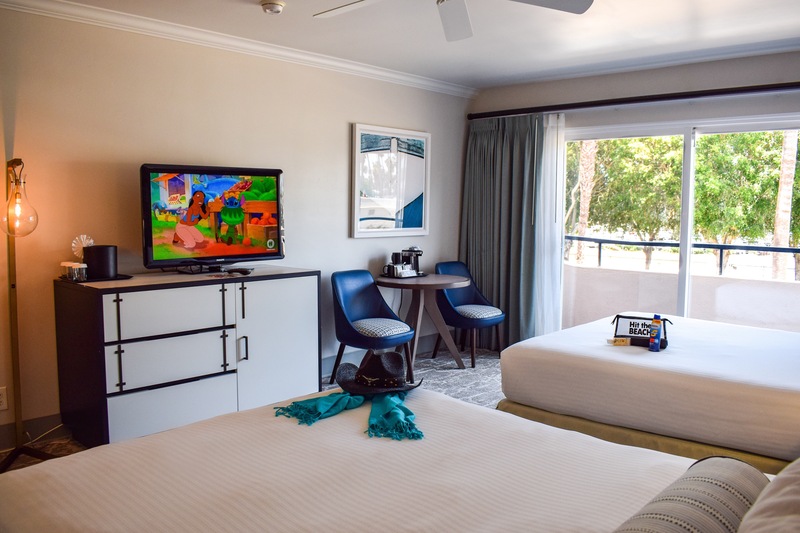 Each one of our Santa Barbara hotel rooms comes equipped with a flat-screen TV, and a deluxe private bathroom. 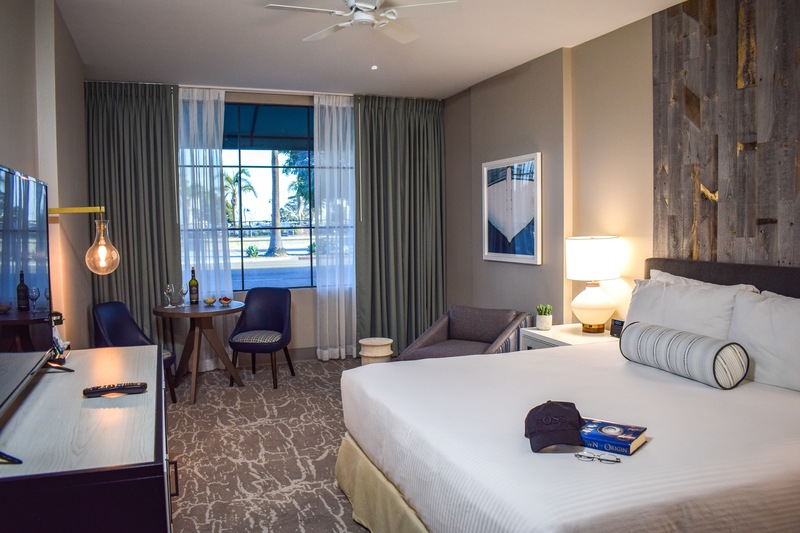 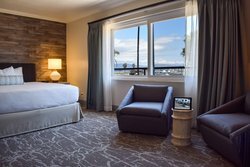 Our Harbor side King Room is perfect for a romantic getaway, featuring stunning views of the harbor and deluxe in-room amenities. Our Double Queen Rooms are perfect for group travel or a family stay, with enough room for 4 guests! 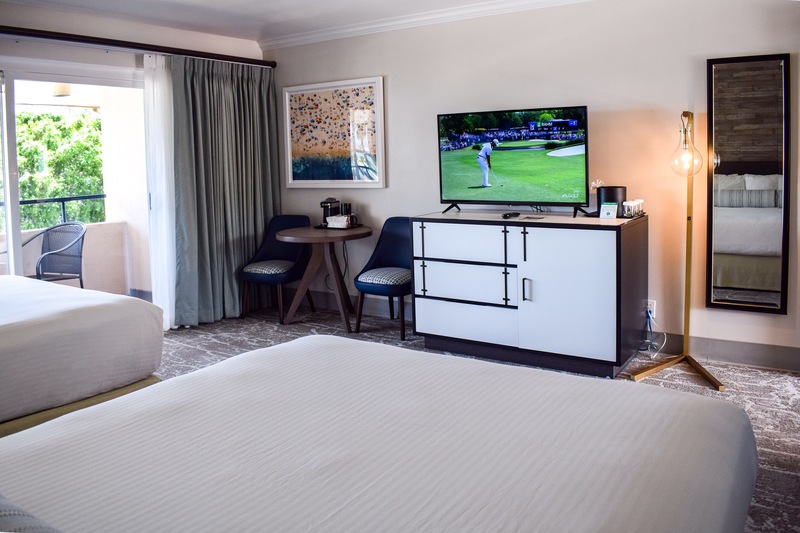 Our larger suites feature living areas, creating a perfect spot to enjoy a glass of wine with friends before heading out to dinner at one of Santa Barbara’s top restaurants. 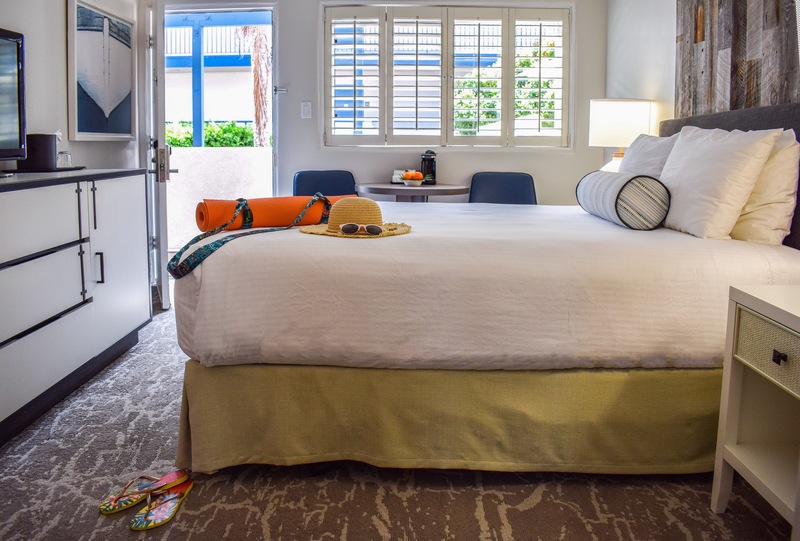 Santa Barbara’s perfect weather and beautiful surroundings makes each day spent at the Beachside Inn feel like paradise. Our Santa Barbara hotel rooms have it all! Elegantly designed with perfect views, make the Beachside Inn your top choice when visiting the American Riviera. 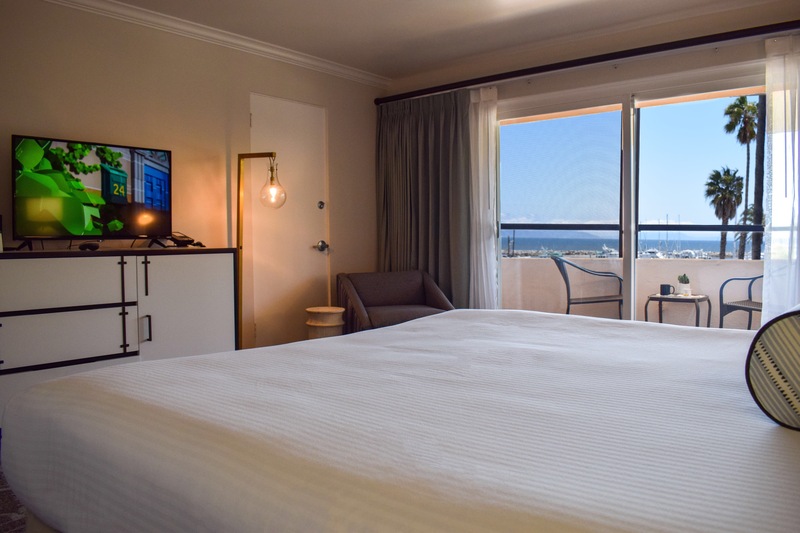 Designed for up to four guests, this guestroom delivers two queen beds and a view of Plaza del Mar / Pershing Park from a private balcony. 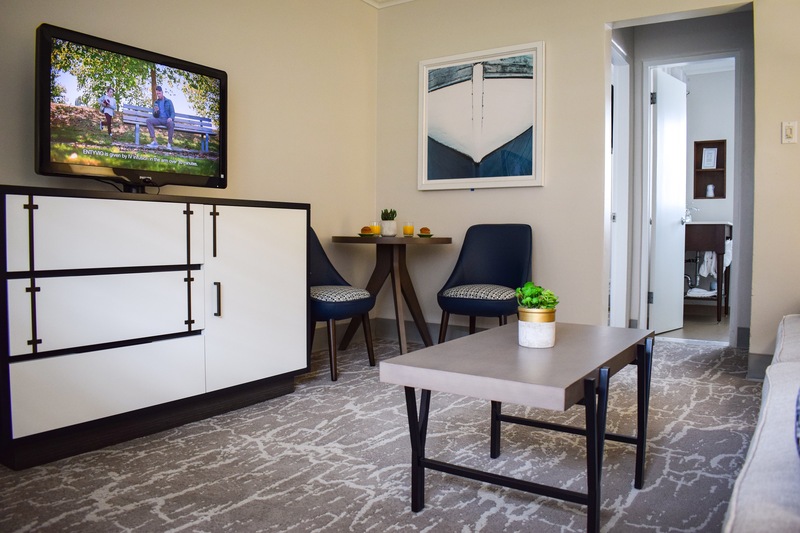 You'll also delight in a refrigerator, coffee maker and free Wi-Fi. 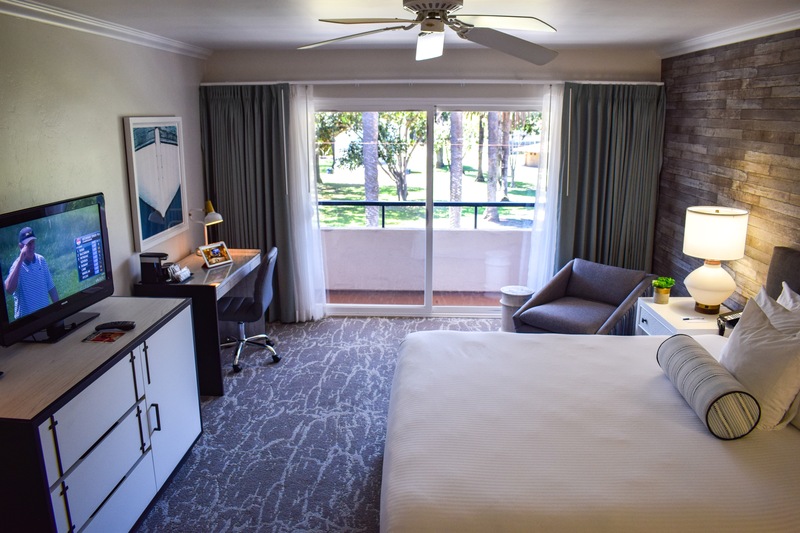 Each room of our hotel reflects the modern, laid-back vibe of Santa Barbara. Discover a comfy king bed and such quality amenities as free Wi-Fi, coffee maker, refrigerator, and blackout drapes. 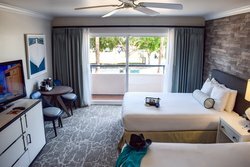 Oh, and there's no extra charge for the pretty view of Plaza del Mar! 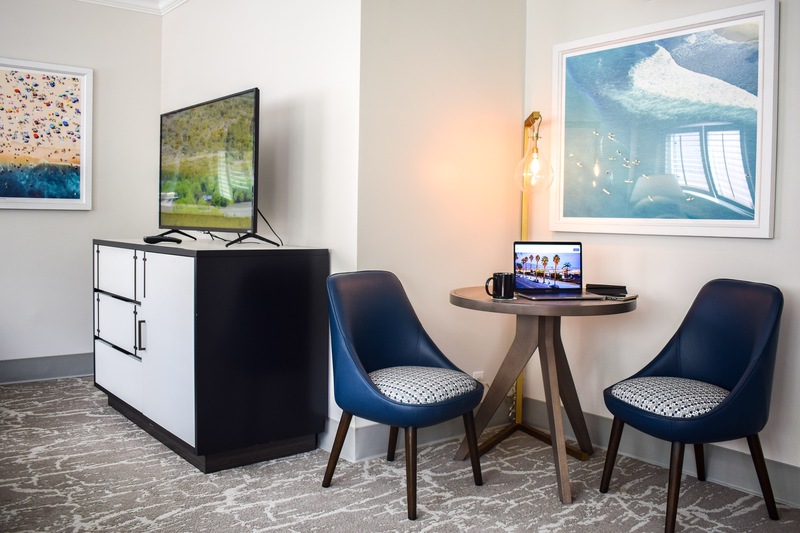 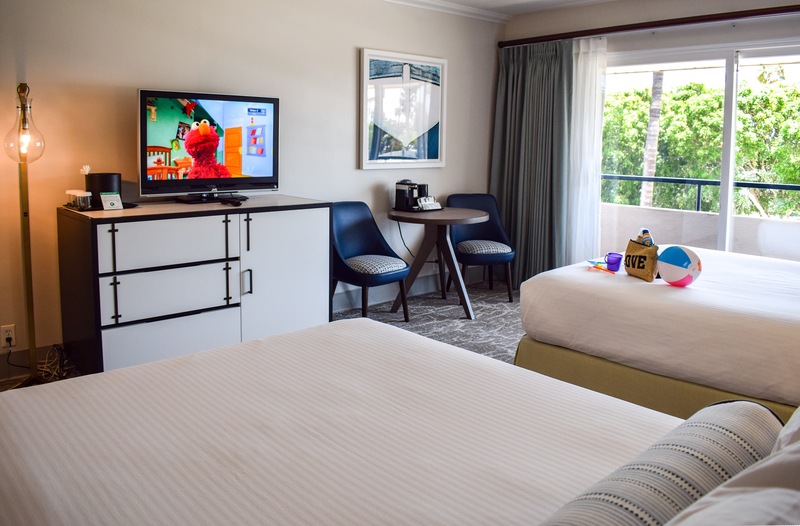 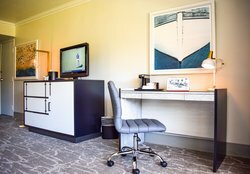 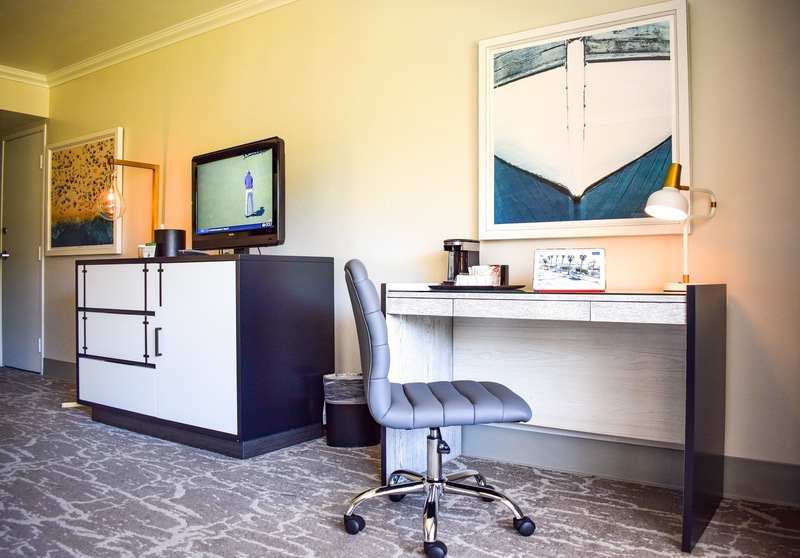 Enjoy in-room amenities like our large flat screen TV's and work desks! 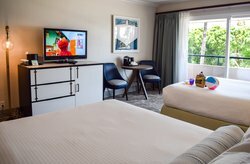 Take in the lush green park beside our hotel from your window! Our spacious accommodations are ideal for a romantic getaway in beautiful Santa Barbara. 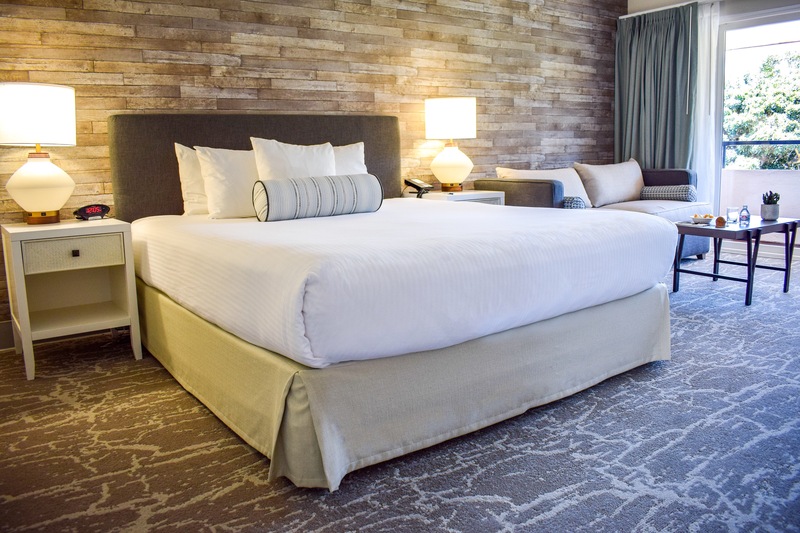 Enjoy a night of luxury in one of our Signature King Rooms! 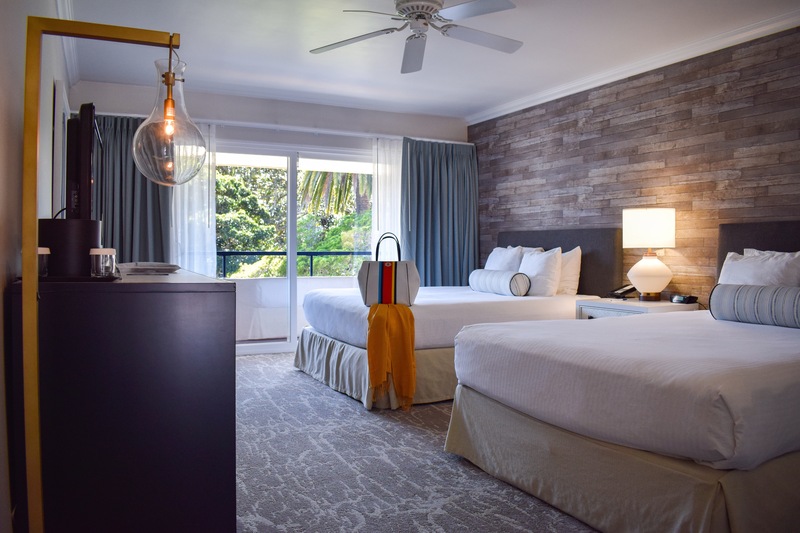 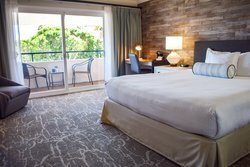 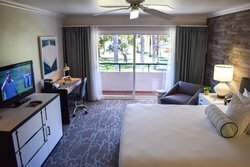 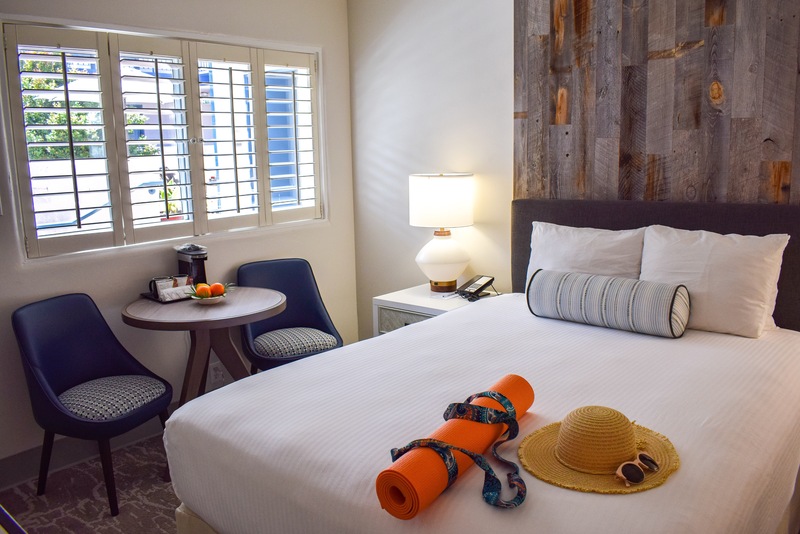 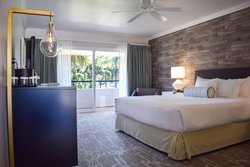 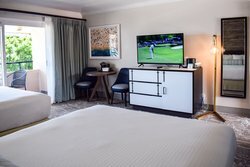 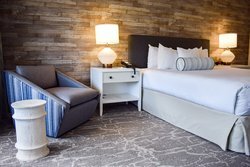 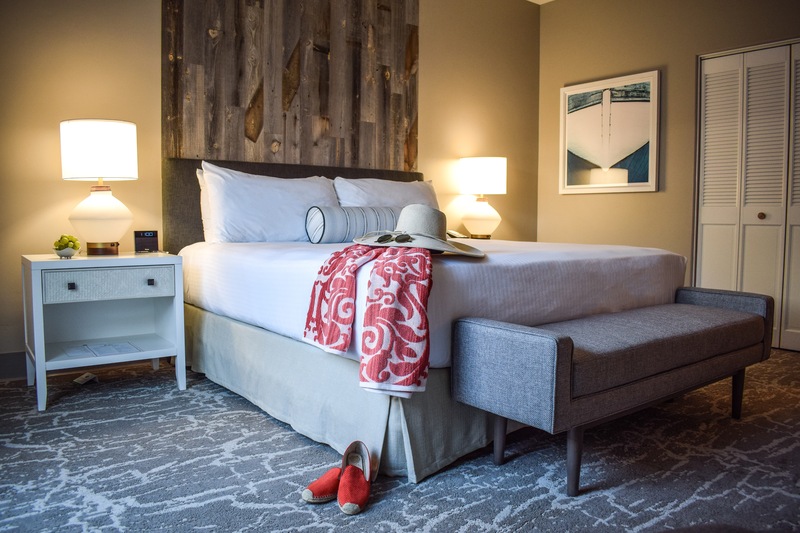 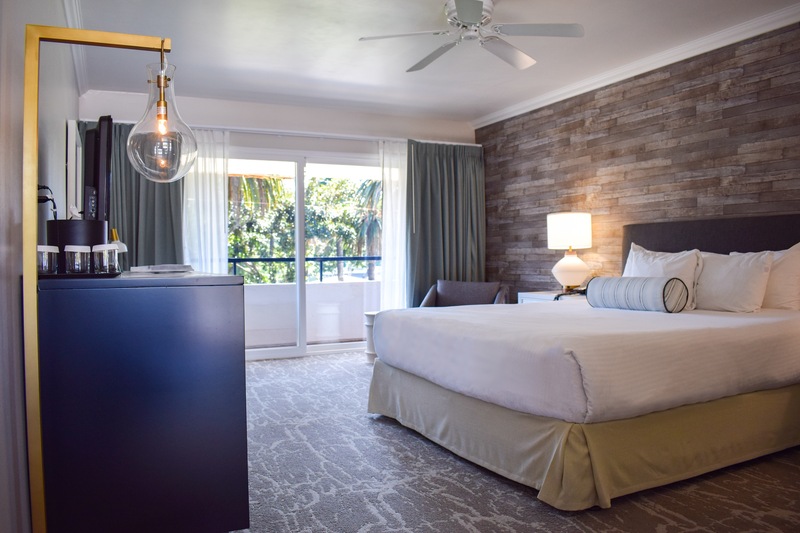 These elegant new rooms feature a modern design and stylish, beachy décor, perfect for a romantic trip to Santa Barbara! A selection of our Signature King Rooms face Harborside, and come with charming amenities like plush bedding and a flat screen TV. 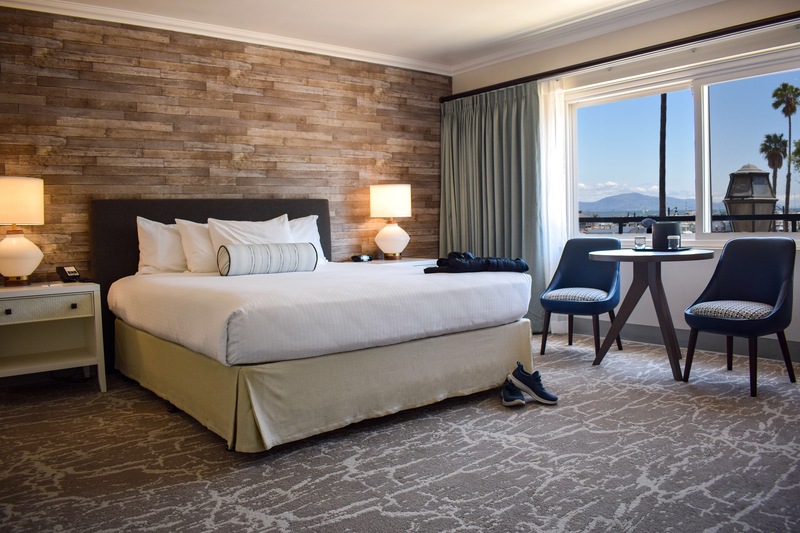 Wind down after a busy day exploring the city and enjoy a bottle of Santa Barbara wine in our Signature King Room, equipped with wine glasses and bottle openers. 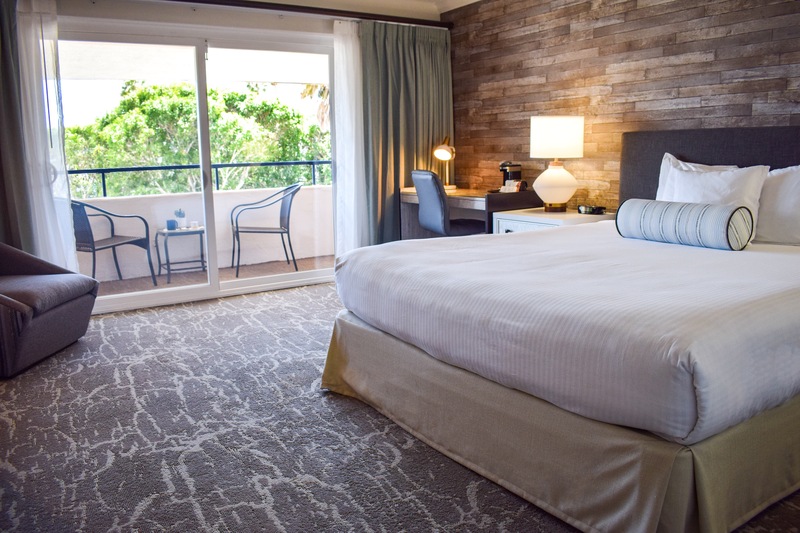 Relax in this charming mini suite overlooking our pool area. Fully separate living room area and a queen size bed in your separate bedroom. 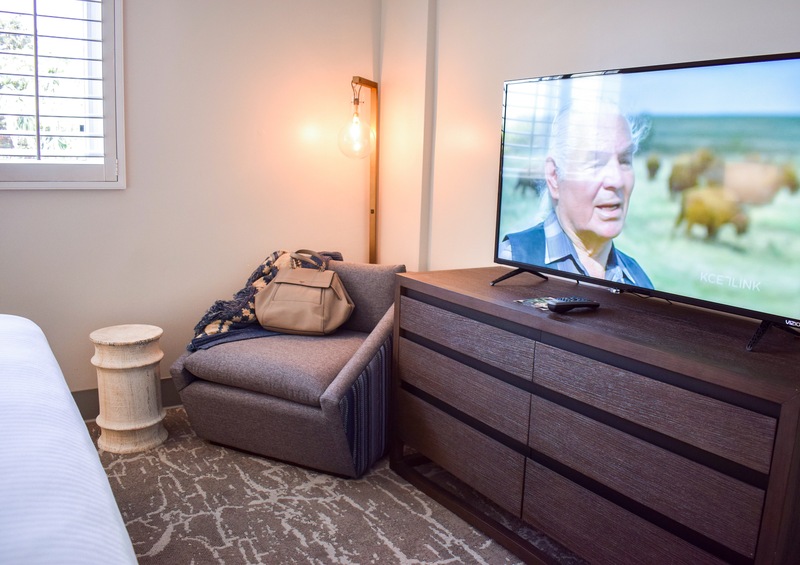 Enjoy the largest living-room in our hotel and have some guests over for your own private wine tasting. 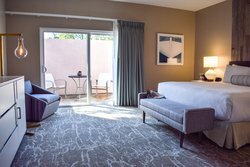 You can then relax on this suite's plush king size bed in the separate bedroom. 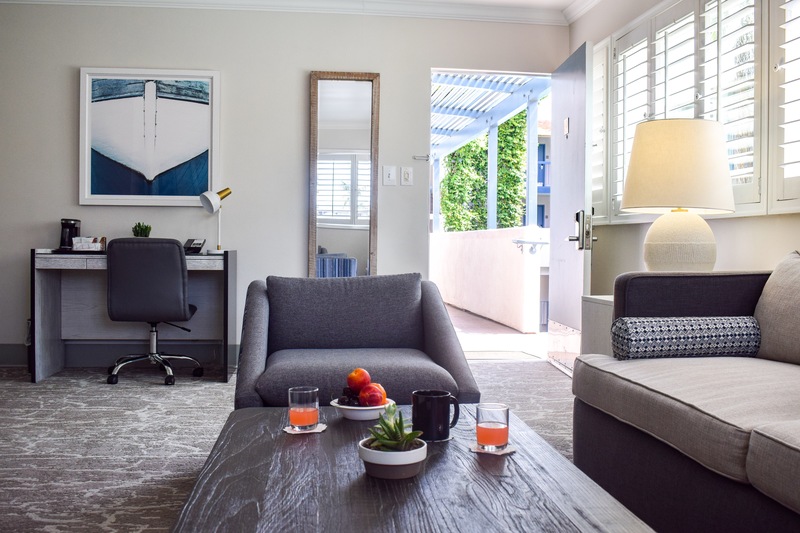 Our Santa Barbara hotel near the beach provides a deluxe complimentary breakfast in our hotel’s breakfast room each morning, allowing guests to start their day off on the right foot! 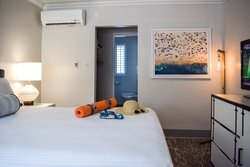 Don’t feel like a day at the beach? Take a dip in our outdoor heated pool! 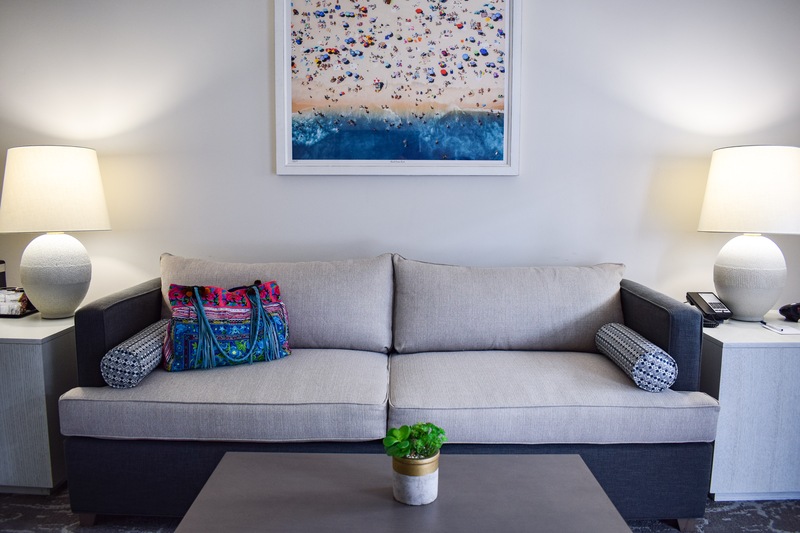 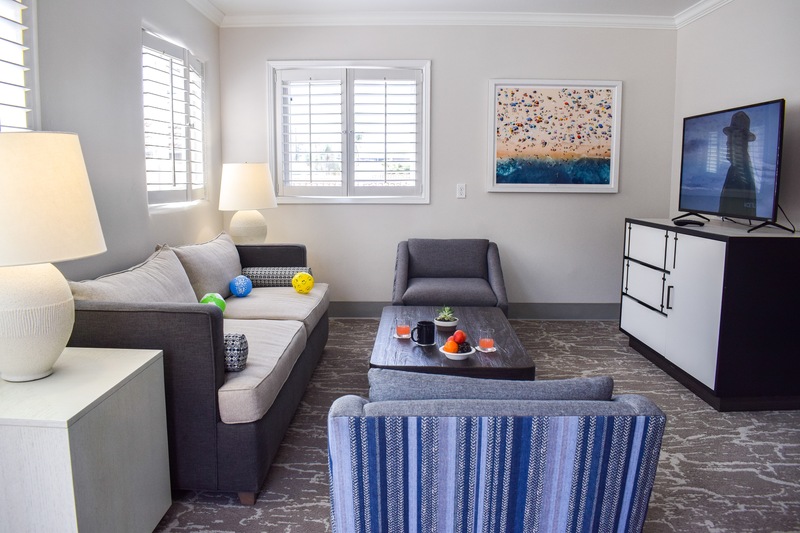 Our amenities are designed to ensure each guest of the Beachside Inn has the best possible experience while visiting our hotel in Santa Barbara! 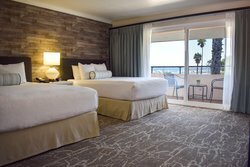 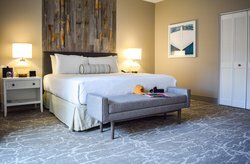 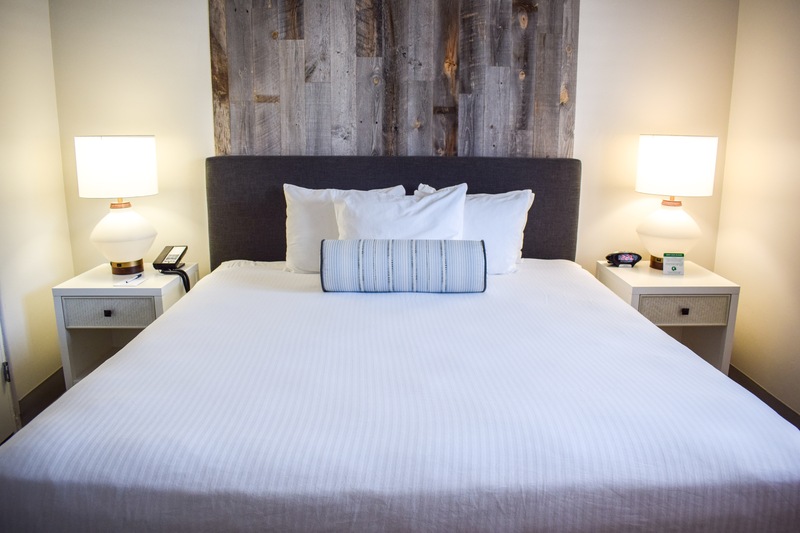 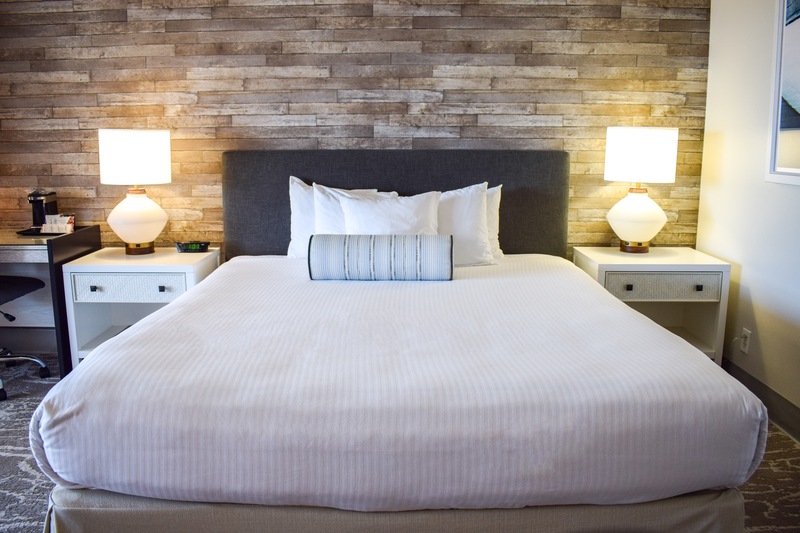 Check out our brand new Signature Rooms to enjoy an extra special Santa Barbara getaway! 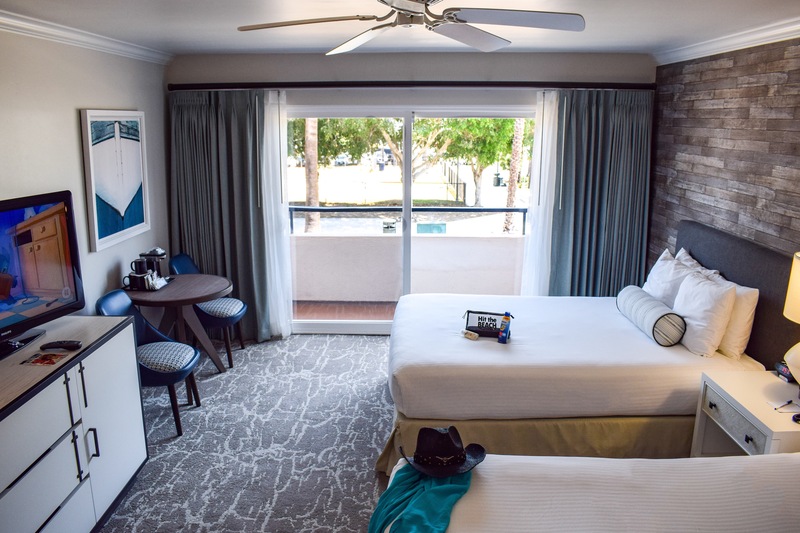 One queen bed and a view of the pool are at the heart of this lodging option. Feature comforts include cable TV with premium channels, free Wi-Fi, refrigerator, and coffee maker. 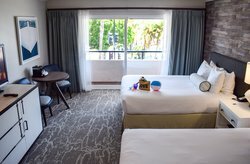 There are a lot of reasons to recommend this room. 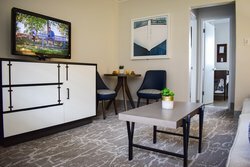 It begins with two queen beds and continues with a private balcony to check out the Santa Barbar Harbor, free Wi-Fi, refrigerator and coffee maker. 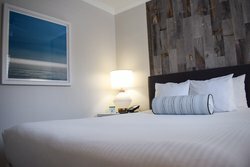 Our double rooms are ideal for a group getaway, offering plush bedding and beautiful, sweeping views. 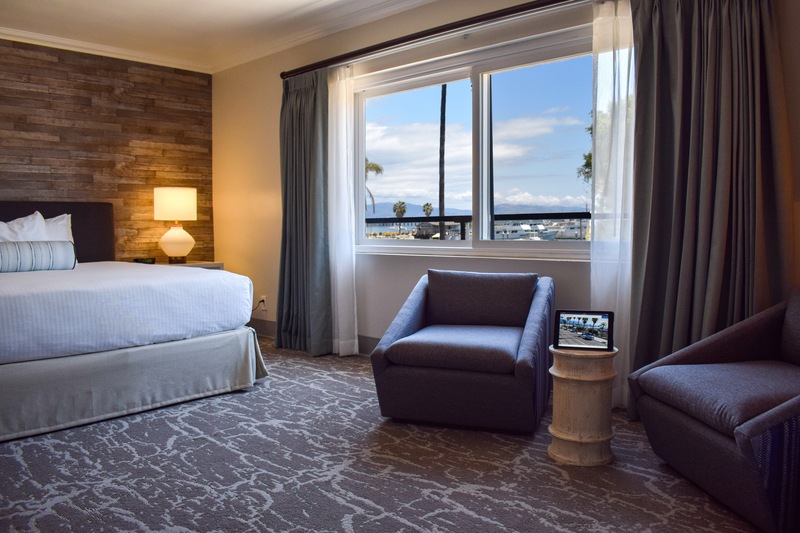 Our 2 Queen Harbor Room looks out onto the iconic Santa Barbara Harbor and the Santa Barbara Yacht Club. 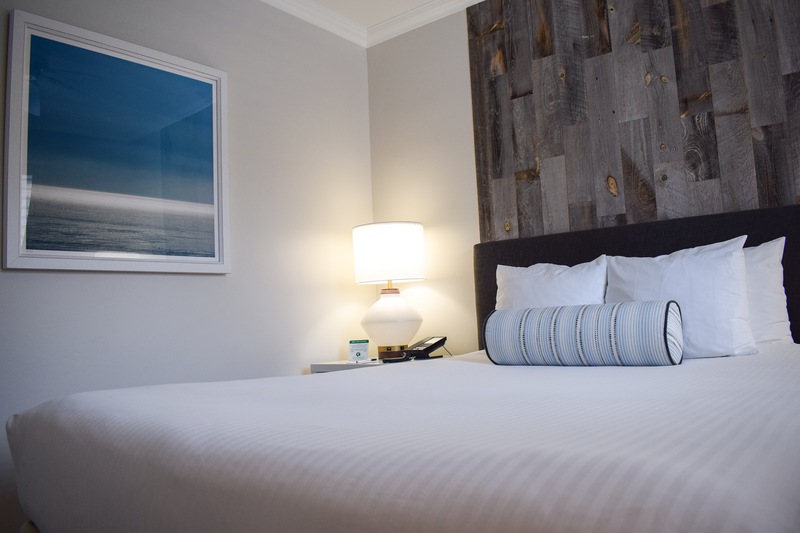 Serenity rules in this most requested guestroom, with a plush king size bed and amazing views of the harbor. A refrigerator, blackout drapes, coffee maker and free Wi-Fi are just some of the other conveniences. 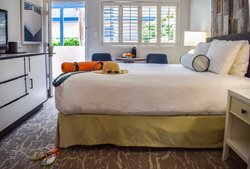 Our centrally located hotel is the perfect oasis in which to begin your Santa Barbara adventure. Each room of our hotel features an elegant, modern design and plush amenities to make each guest feel at home. 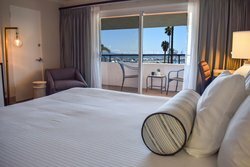 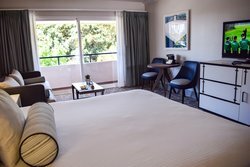 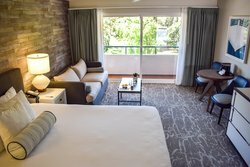 Enjoy our range of rooms, each offering a unique view of our secluded pool, a gorgeous park or the famed Santa Barbara Harbour! 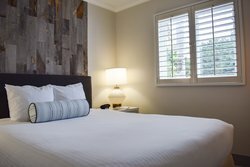 Ideal for a romantic getaway or a group vacation, we have the perfect Santa Barbara hotel room for you.